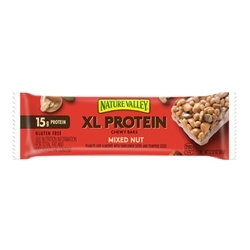 Nature Valley XL Protein Bars are packed with even more of the good stuff like peanuts, almonds, sunflower seeds, pumpkin seeds and 100% whole grain oats with 15g of gluten-free protein per serving. Ingredients: Roasted Peanuts, Soy Protein Isolate, Chicory Root Extract, Sugar, Pumpkin Seeds, Almonds, Roasted Sunflower Seeds (sunflower seeds, sunflower oil), Palm Kernel and Palm Oil, Honey, Peanut Butter (peanuts, salt), Vegetable Glycerin, Rice Starch, Almond Butter (almonds), Whey Protein Concentrate, Canola Oil, Soy Lecithin, Salt, Nonfat Milk Solids, Whey, Corn Starch, Natural Flavor. 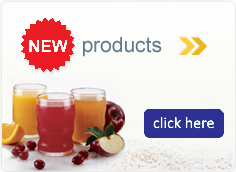 CONTAINS: PEANUT, SOY, ALMOND, SUNFLOWER AND MILK INGREDIENTS.